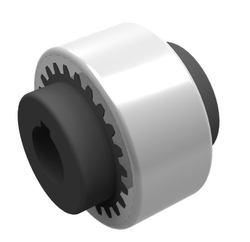 Our Resilient Grid Couplings are fitted in tapered grooves. This grid cut in the periphery of the driving and driven hubs is extensively used for heavy duty applications. We are leading, supplier and dealer of Grid Coupling in India. We, Asha Spring & Engineering Co. are a leading manufacturer, exporter and Grid Spring suppliers of our domain. Our couplings are designed and developed keeping in mind all the prevailing industry guidelines. Our all the products are highly appreciated and demanded throughout the year by our esteemed clients and industry. Our company has achieved widespread recognition in providing Grip Coupling. We are pleased of give an fabulous range of Resilient Grid Coupling to our customers. It is installed in tapered grooves. It is applauded for its features such as durability, sturdy constructions and easy to set up. It is highly preferred for their smooth and flawless functioning. We are offering wide range of horizontally split type grid coupling. Our range of horizontally split type grid coupling are fabricated using superior grades of raw materials. Hi Torque Resilient Coupling, Etc. 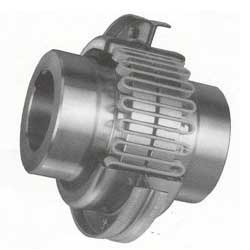 Amidst our wide range of products, we are also engaged in offering a wide range of Grid Flex Coupling. Our product range is highly popular and demanded in market. This Grid Flex Coupling is manufactured under the strict supervision of experience team-members at the well equipped manufacturing unit.